Working outdoors during summer season can be exhaustive and tiring; to keep you cool while maintaining your comfort, we have these must have air conditioned clothes. 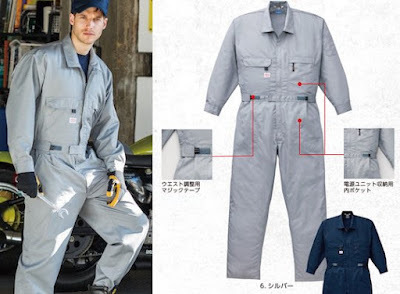 Kuchofuku Air-conditioned Work Jacket: The Kuchofuku Air-conditioned Work Jacket keeps your temperature down while you work outside in the heat. It features dualfan system to keep you cool, two pockets on the front plus a practical hoodie. Buy Now. 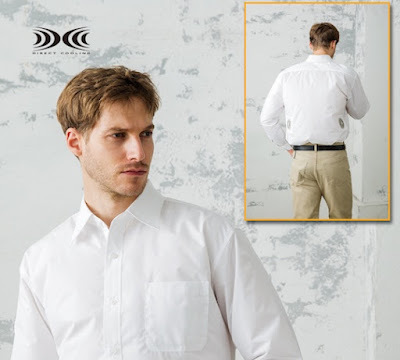 Kuchofuku Air-conditioned Shirt: The Kuchofuku Air-conditioned Cooling Dress Shirt features the dualfan system to keep you cool and this white button-up shirt is just the thing you need to wear under a suit during a big important meeting where you don't want to sweat. Buy Now. 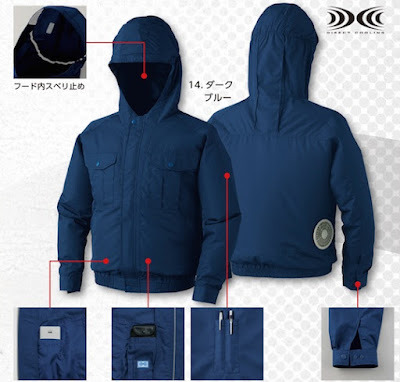 Kuchofuku Air-Conditioned Long-Sleeve Work Jacket: The Kuchofuku Air-Conditioned Long-Sleeve Work Jacket is another product in the Kuchofuku line of air-conditioned work garments. It's perfect for summer months; comes with the dualfan system to keep you cool. Buy Now. Kuchofuku Air-Conditioned Safety High-Visibility Jacket: The Kuchofuku Air-Conditioned Safety High-Visibility Jacket features the usual thing to keep you cool but apart from its dualfan system what makes it stand out from the rest is it also features reflective materials, that makes the oncoming cars to clearly see you even in the darkest conditions. Buy Now. 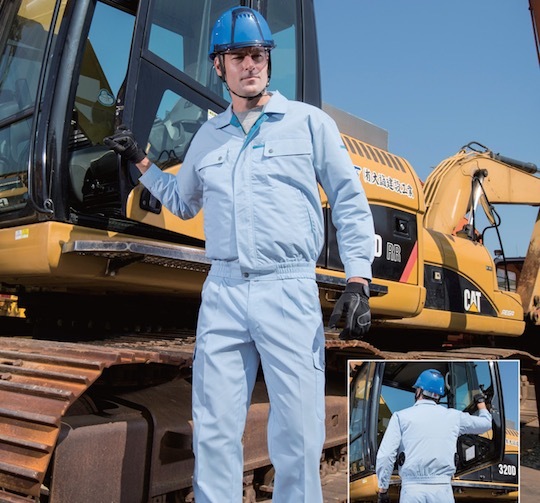 Kuchofuku Air-Conditioned Jumpsuit: The Kuchofuku Air-Conditioned Jumpsuit features the same innovative integrated dualfan system to keep you cool while you work outdoors in heat but unlike the jackets that keeps only your upper body cool, this one piece cooling work clothes is designed to cover even the lower half of your body and keep it cool too. Buy Now. Kuchofuku Outdoor Cooling Clothes with Hoodie: The Kuchofuku Outdoor Cooling Clothes with Hood BPF-500F keeps your temperature down while you work outdoors in heat, its integrated dualfan system maintains a safe temperature by pushing air through the inside of the clothing. Buy Now. Kuchofuku Air-Conditioned Long-Sleeve Collared Work Shirt: The Kuchofuku Air-Conditioned Long-Sleeve Collared Work Shirt is an air-conditioned work wear that keeps you cool through out the workday. It features the dualfan system, numerous spacious pockets for you to store electronics or pens away. Buy Now. 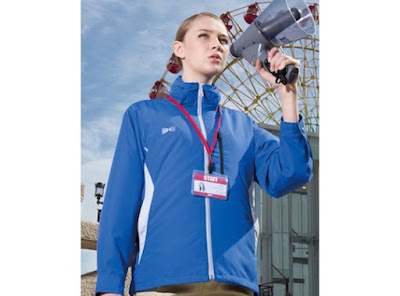 Kuchofuku Hooded Air-conditioned Jacket: The Kuchofuku Hooded Air-conditioned Jacket is made from smooth taffeta fabric; it keeps you cool during heated working conditions, thanks to dualfan system that provides a refreshing breeze from inside the work wear. Buy Now. Kuchofuku Nadalles Air-conditioned Jacket: The Kuchofuku Nadalles Air-conditioned Jacket features the dualfan system to keep you cool in outdoors, and its made from waterproof fabric to protect you from elements. 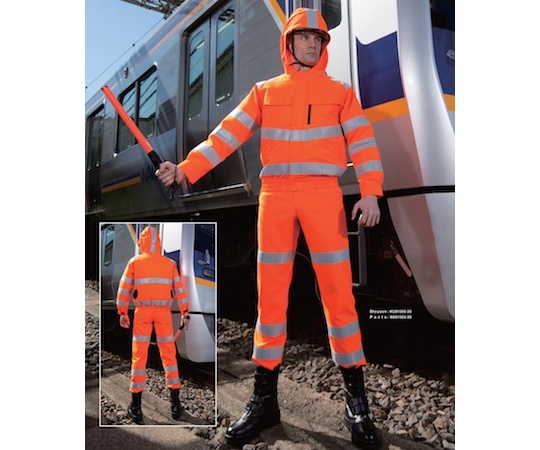 And also it features reflective tape so you can be spotted even in lower visibility conditions. Buy Now. 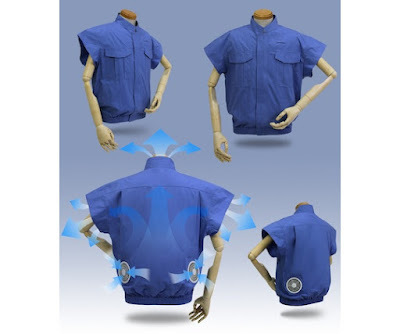 Kuchofuku Air-Conditioned Short Sleeve Work Shirt: The Kuchofuku Air-Conditioned Short Sleeve Work Shirt is made out of 100% cotton, features short sleeves for comfort and comes with its standard dualfan system to keep you cool. Buy Now. 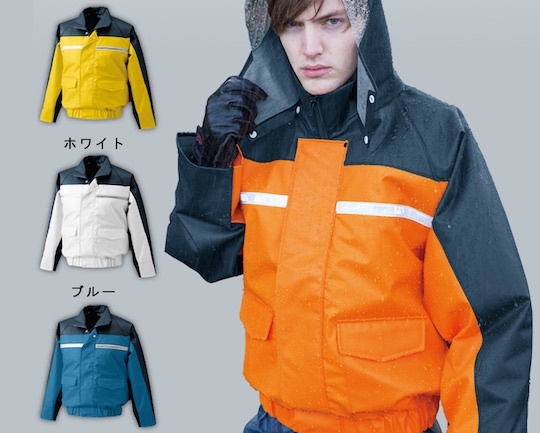 Kuchofuku Air-conditioned Jacket: The Kuchofuku Air-conditioned Jacket is a cooling work wear that keeps you from sweating and overheating. 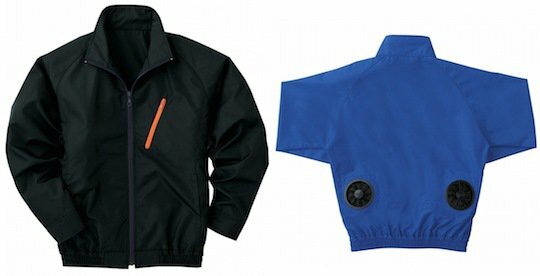 Its dualfan system supplies a cooling breeze inside the zip-up jacket, and can be adjusted to four different levels to keep you cool. Buy Now. 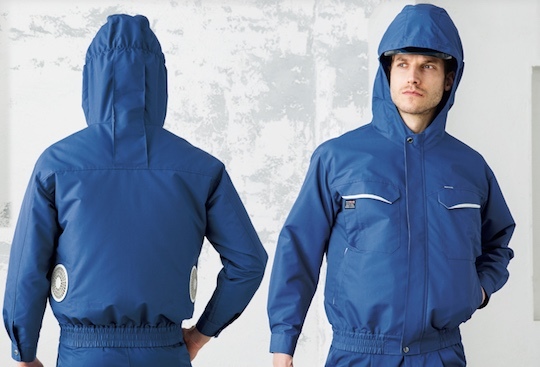 Kuchofuku Air-Conditioned Beekeeper Suit: Next time you work with bees during summer season you got Kuchofuku Air-Conditioned Beekeeper Suit to keep you cool. 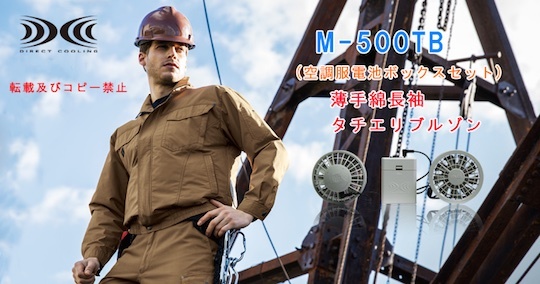 Its dualfan system generates a cooling breeze around your body while its protective layer keeps you safe from bees. Buy Now.